What’s really covered under your homeowners insurance policy? 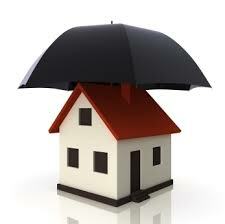 A homeowners insurance policy is essential to have in place before purchasing a home. Most clients understand that this policy will insure that in the event of a fire, the expense for repair or replacement will be covered by the insurance company. Your personal belongings also fall under most policies, along with property damage and bodily injury sustained by you or others on your property. You, your spouse and children, and any guests, tenants, or employees in your home can all be covered under this policy, just be sure to check when you purchase the policy. What most clients don’t realize however is that there are some standard exceptions written into these policies that will leave you without coverage under certain circumstances. The two main exceptions are earthquake and flood damage. The impacts of these natural disasters would not be covered by your standard policy. Earthquake insurance and coverage for some types of water damage can often be purchased as an addendum, but flood insurance must be purchased on its own as a separate policy. Further, standard policies don’t cover damages to your building as a result of your failure to perform regular maintenance on your property. Insect, bird, or rodent damage, rust, mold, and any kind of wear and tear on your property is typically not covered. Neither are hidden defects, mechanical breakdowns, or food spoilage in the event of a power outage. Though there is no current concern for this, damage caused by war or nuclear exposure is also not covered. Some things have minimal coverage built into your standard policy, for which you can purchase additional coverage as an addendum. Valuable property, including firearms, jewelry, silverware, etc., is usually covered by a standard $1,000. Insurance for replacement value of lost or damaged property is usually determined on an itemized basis that takes depreciation into account. You can expand this coverage by paying to remove depreciation from consideration. Liability coverage can be increased if desired as well. These should serve as general guidelines for your homeowners insurance, but be sure to consider the details on your specific policy. It’s important to consider exactly what you have covered in order to determine what additional types of insurance you may want to purchase.